Given the breadth of relationships this episode takes us across, I’ll just subdivide this review in order to cohesively comment on each. Given that Inha’s role in the confrontation was on Jung’s orders, I don’t think there’s any relationship between her and Young Gon besides deep disgust on her part. Seol, on the other hand, has kept evolving since the start of these series and instead of seeing Young Gon as an object of fear, now sees him as nothing more than trash (and says it to his face!). 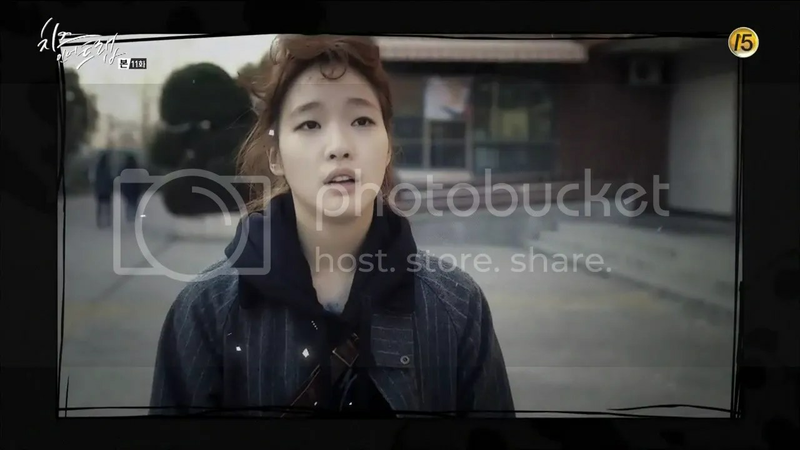 It’s incredible when you think of how frightened she was back in ep 6. And the more her inner steel comes out, the more you realize why Jung thought she was just like him. Bora and Euntaek are equally as delightful in their handling of Young Gon. His spiral into a comic, as opposed to sinister, figure is complete when every attempt he makes to talk to Seol is foiled by Bora and Euntaek. Is Young Gon done for good at this point? Or is he just recovering for a second attack? Given that he’s wasted all his ammunition, and Yoo Jung (who is almost definitely behind the discussion board posts) is just preparing to fire, it’s likely that we won’t see much of him in the future. He’s just comic relief for the viewers and his classmates. And it really is by virtue of his own stupidity. We’ve seen fractures within Seol’s family throughout the past few episodes as such the blowout isn’t a huge surprise. Yet, that doesn’t diminish the sense of betrayal viewers feel through Seol one iota. Especially because we’ve seen her commute for hours, slave through group presentations, and work an assortment of part time jobs. So hearing her father speak as callously as he does about her taking time off immediately got me pissed. It especially hurt when Seol asked who she should lean on. Her family, and her father especially, deserved everything Seol threw at them (having to budget in your head day in and out is the most awful, stress-inducing, depressing mental routine there is) and it even irritated me when Seol slunk back in looking apologetic because she had every rate to go out as she did. But what’s also great about her family is how quickly they makeup without holding grudges. Despite being a group of deeply flawed individuals, there is a lot good about them and though they do have rather violent ways of expressing affection, like Seol, we see that they aren’t so bad. There wasn’t too much of Seol and Inho together as there was during the past few episodes, but what little we saw made me ache for the poor boy who’s head over his heels and is just beginning to realize it. He can’t get close to her for fear of permanently turning into a tomato, he stays up all night waiting for her to get home, and gets adorable flustered at her having noticed small details about him. And all she has to do to make his day is call him ‘oppa’. He wants nothing more than an honest open relationship and he’s definitely kept his end of that, to his own detriment, but there’s always some strange level of reserve between them. 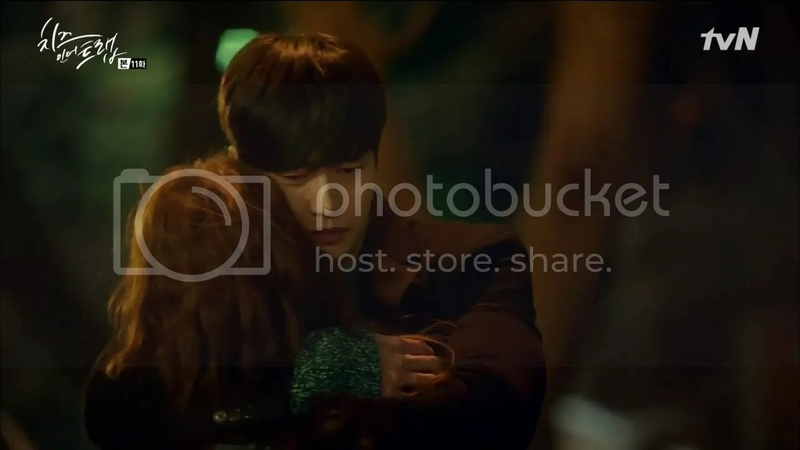 Some barrier that isn’t coming down despite her emotional breakdown in his arms (such a gorgeous scene, honestly). But that barrier’s down with Inho, and he’s forced to watch her comfortably talk with him about things they probably discuss everyday that he knows nothing of. Because unlike him, Seol isn’t always honest at times (and for good reason at times) and it hurts every time she does so. 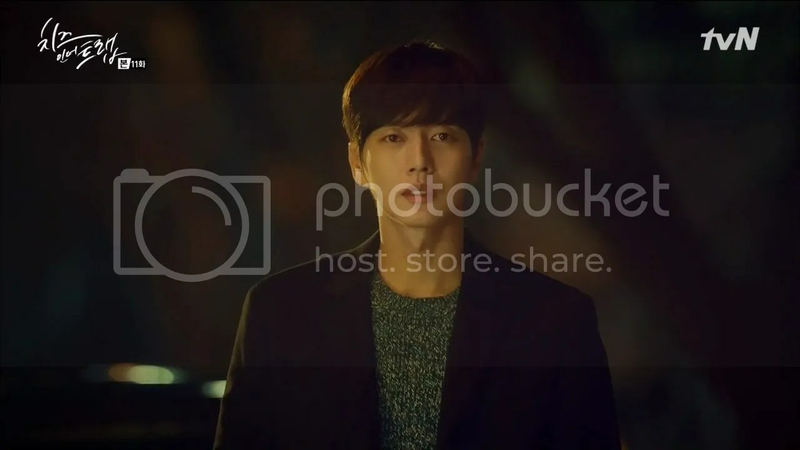 And added to the messiness that is the strange barrier between the two, Seol not being completely honest with him, and Inho having fallen for Seol is that the present has started to mirror Yoo Jung’s past. 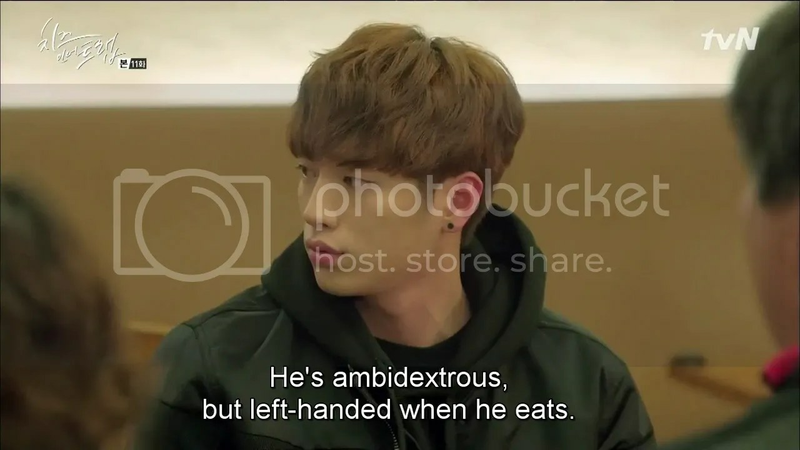 He works all day to ensure that no one has cause to insult him (say he got a free ride and what not) for being a chaebol, to the point where he’s treated as a pushover by others (both in middle school and in the present). But he comes home to his father happily listening to the Baek siblings’ day without caring about his. 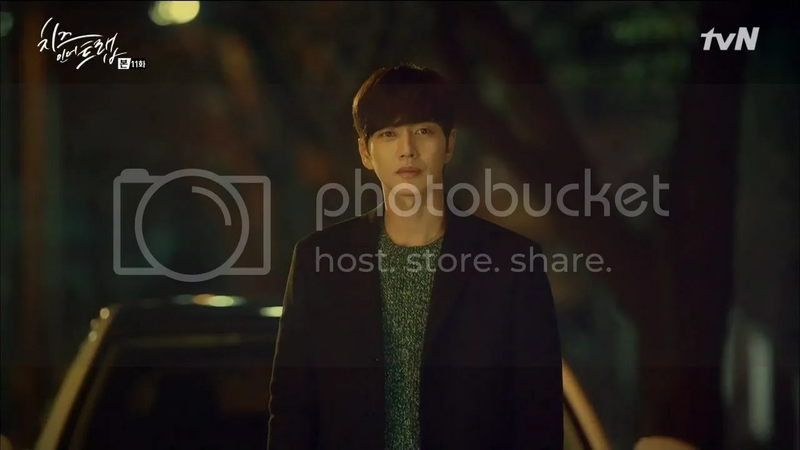 He’s his father’s biological son, but his father heaps care onto Inho and Inha and responsibilities onto Yoo Jung. And it’s the same with his relationship with Seol. He’s her boyfriend, and heaven knows the boy loves her, but she double-thinks everything she says to him while she has no filter with Inho, who at this point is far more a part of her life than Yoo Jung has ever been. 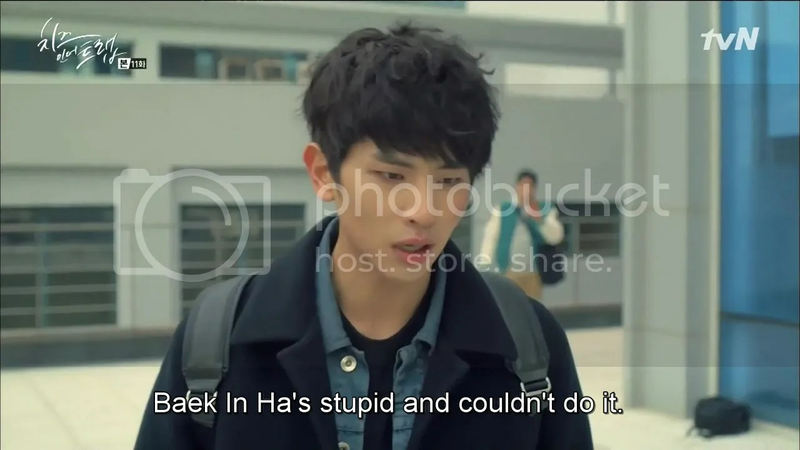 It’s not hard to fault him for leaving after that and frankly I was more than a little pissed that Seol, with her newfound mettle, didn’t go straight after him to explain that she had no feelings for Inho, whatsoever, and cared about HIM. Instead, we’ve to see her watch Jung walk off for the sake of stretching the conflict out a bit, and whiel the conflict is valid and Jung’s hurt is valid, the final 30 seconds of these episode were incredibly illogical. 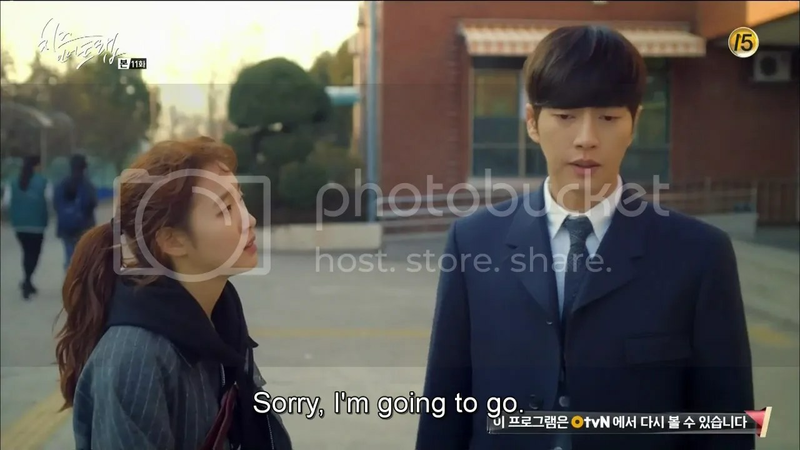 Go after him, Hong Seol! Show us how far you’ve come, don’t negate your growth! (Or not?) I hope tomorrow’s episode features some real talking between these two, because smooches don’t solve everything, and it’s way better to smooch without things unsaid swirling in the back of your head. So can we get there? Please? For the love of all smoochies? Delurking to appreciate your thoughts and your consistent spot on reviews!!! To be honest the relationship between Jung and Seol has only that one barrier and that is COMMUNICATION. They have strong feelings, they have a fairly good rapport with the mundane and the cute but it all amounts to nothing when they DON’T talk. And you could defend that both sides are naturally introverted people but I want the growth of being able to wade through the awkward painful part of laying yourself bare and come to a point of “yeah this the person I am with warts and all”. 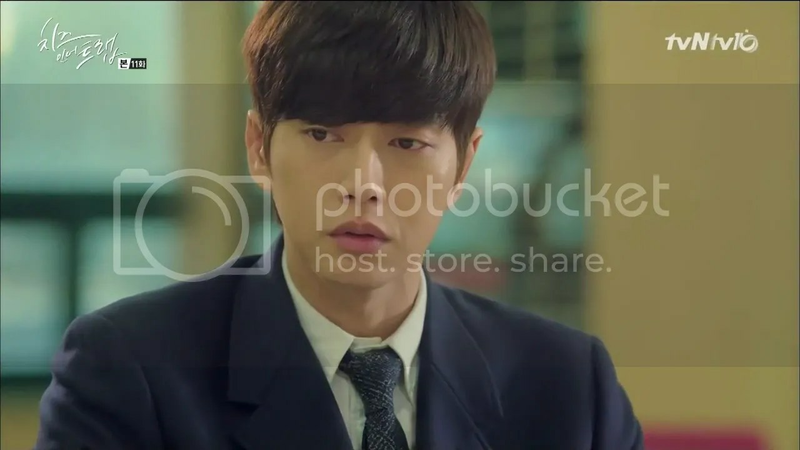 I also feel what Yoo Jung’s face showed when he started having the flashback at Seol and In Ho’s familiarity was less dark as some called it and more of a startled and scared “this again” face. The fact that In Ho might just literally take all he is worth in his own house AGAIN is not exactly a pleasant thought,no? Not exactly In Ho’s fault but what can you do when “some people receive love much more easily than others”. At this point I just want everyone to talk and sort themselves out and just stop this cyclical thing. Thank you for your analysis. Too much food for thoughts from the way you weigh the relationships in CITT…. and make me love this drama much much more. Btw I always love ur writings (recap, review, all) and appreciate this blog!!!! All Jung wants is an honest and open relationship..? Wth he is the moat closed up, closed off character ever. Don’t forget that omission is a form of lying, paying in-ha to take care of stalker-boy proves Jung hasn’t changed and broke his promise to Seol not to do this stuff behind her back. Also pissed off at Jung for the shut-down and walk off at the end. Seol isn’t a mind reader she doesn’t know, cause Jung doesn’t tell her. Seol fighting. She’s my fave anyway hope she gets her HEA don’t care if it’s in-ho or Jung.